Mission Statement: To combine scientific research, education and practical applications of sports medicine and exercise science to enhance performance, personal fitness, health and increase the overall quality of life to individuals. I have been working in the fitness industry for over 20 years. 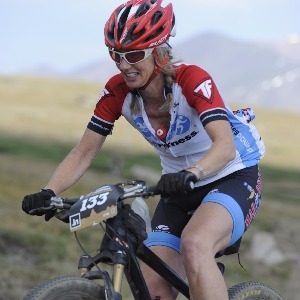 I been racing (mountain) biking, and Triathlon for over 20 years. I have evolved from doing one event triathlons, to Escape from Alactrez Triathlon and Maui Xterra World Championship. I began coaching over 10 years ago when I wrote my first program a Belt Buckle Finish at Leadville. I have coached people to Alcatrez and Leadville 100 mile Mountain Bike Race Across the Sky, Qualifiy for RAAM, Breck Epic, BC Epic, and Trans Am Bike Race, as well as many other event, including 100 Mile Ultra-Runs. I choose to evolve as my profession evolves and as my own personal events evolve and out of this is born Zoë Fitness. Where my goal is your goal: becoming the athlete within, reaching your ultimate potential. Success. Coach Zoe Nance has been notified of your message.